We just came back from an unforgettable Spring Break vacation in Phoenix, Sedona and Grand Canyon. 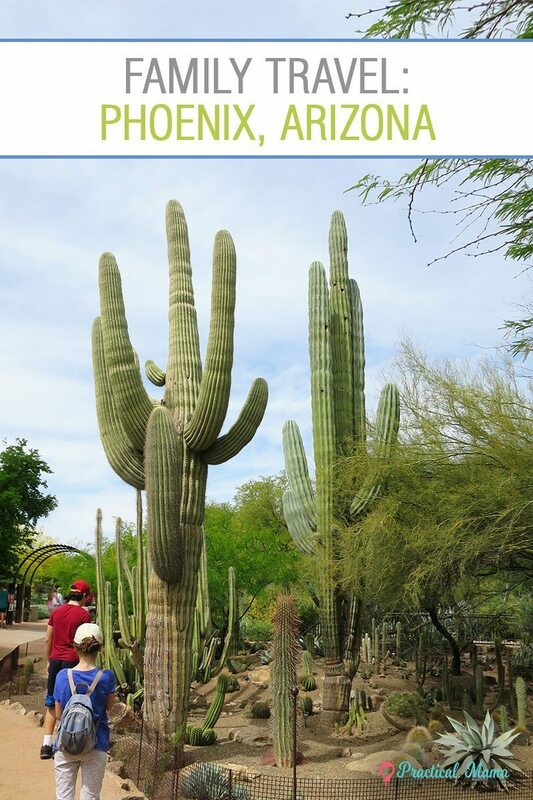 Arizona offers some spectacular sights and experiences. Even though we spent 8 full days actively visiting places, there are still many places left to go back and visit. 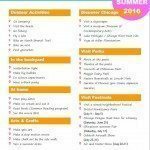 There are more than enough family friendly places to visit and activities to do. 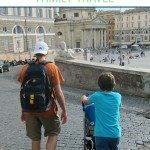 Even though we find that it’s very easy and fun to travel with our kids who are 9 and 11, we have seen many families with younger children at most of these locations listed below. 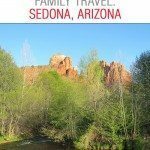 I’m sharing the locations we visited in Phoenix during our 3-day stay as well as alternative locations depending on weather, mood etc..
We stayed at Hilton Garden Inn Midtown Phoenix. We had a rental car during our trip. 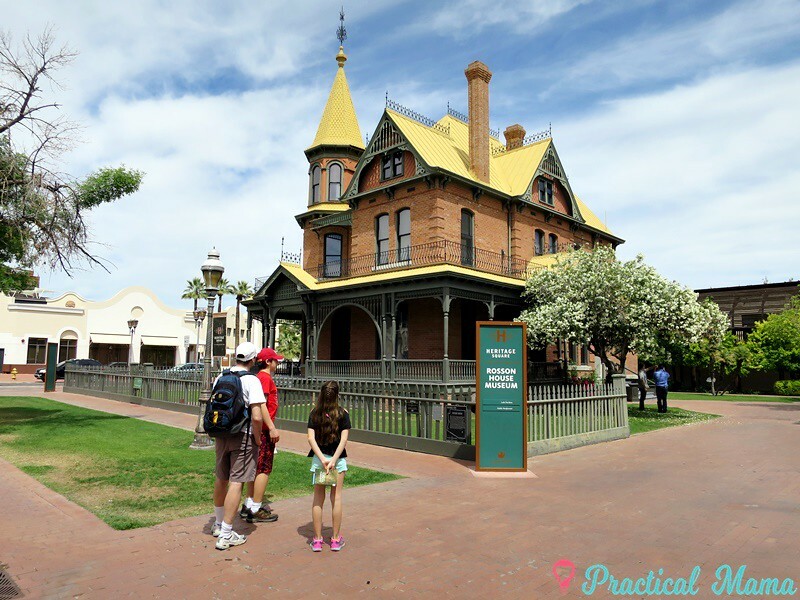 Our 3-day itinerary in Phoenix wasn’t too heavily loaded. We gave ourselves and the children enough time to rest and regroup in the afternoon by the hotel pool, in order to be able to survive until the end of our trip without a meltdown. Hole in the Rock is an unusual red rock formation with a hole on top of it. It’s in Papago Park right by the Desert Botanical Garden. After you park in the parking lot right by the rock, you go up a 5-10 minute medium difficult trail to reach the hole. You can see much of Phoenix from up there. It was our first hike of the trip, which was fun for the kids. Free activity. When you are pulling up directions on Google Maps to any of these hiking locations add “parking lot” at the end in the search box. Phoenix Zoo is right by the Hole in the Rock in Papago Park. Make sure you check the visiting hours, as they vary by season and it closes early in the summer. We opted to go back to the hotel to rest by the pool instead of another zoo visit. Pueblo Grande Museum and Archeological Site sits on a pre-Columbian archeological site and ruins left behind buy peoples called Hohokams. Entrance to the museum is very inexpensive. You start the tour inside the museum. You watch a video about Hohokams and ruins. In the next hands-on gallery, kids learn about the science of archeology. Then you go out and tour the trail around the archeological site. There is are a historic platform mound and a ballcourt and some dwellings are replicas of what used to stand there. Still, it’s a great learning experience of ancient civilizations. When we finished the site tour we came back in the museum and learned more about Hohokams, Arizona History and desert life at the exhibit galleries. 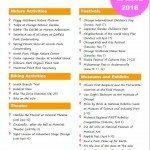 You can print out a discovery guide prior to your visit to make your visit more engaging for your children. On our last full day, we decided to go hiking. Hiking at Camelback Mountain was on top of all “things to do in Phoenix” list even though there are many other mountains and hiking trails around Phoenix. I looked up and read there were 2 main trails at Camelback: Echo Canyon Trail and Cholla Trail. Both trails are rated as extremely difficult with 1,200 ft elevation gain in a short distance. Echo Canyon was shorter but steeper. Cholla was longer and less steep, so I picked Cholla Trail. If you look up “Cholla trail parking” on google maps and drive to your destination, in reality, there isn’t a parking lot. You park on Invergordon Road and walk up to the entrance of the trail. The trail is 1.4 miles. We hiked up about 1.2 miles and came down without hiking the last 0.2 miles which was way too steep and difficult for us not only to climb up but to climb down. It took us 3,5 hours for us to hike up and down the trail with occasional photo ops and rest breaks. You must have hats and put on sunscreen for your hike. You must carry a big bottle of water for each hiker. Carrying your sunscreen, water bottles and other small items in you small backpack is recommended to be able to have both hands free for climbing at times. The trail is pretty popular over the weekend. There are all types of hikers from pro-looking ambitious “runner hikers” to elderly amateurs. If you can obtain, hiking pole might come handy. There were parents with babies in baby carriers but there are some parts of the trail up high that I think are risky for a baby or a toddler in back. However, there were 5-6 year-olds climbing down from the peak with their parents and they were as chill as cucumbers. Overall, despite not climbing up to the peak, it was a great experience for our family. Butterfly Wonderland is the largest butterfly conservatory in North America. It is a 15-minute car ride away from Cholla trail. I would have loved to visit this butterfly conservatory because it’s been a long time since we’ve visited one since our Niagara Falls trip. However, we were so exhausted from the hike and headed right back to the hotel after eating lunch at the nearby Scottsdale Fashion Square. We’ve read and heard really good reviews about these museums. I was especially heartbroken that we missed Frida Kahlo and Diego Rivera Exhibit at Heard Museum by one day. Phoenix is a great destination for hiking. As you will tell from our itinerary we prefer outdoor destination when weather allows. There are many mountains and mountain ranges wth trails for every level and skill. You might go up hiking early in the morning or towards dusk to watch the sunset. Just make sure you have lighting to help go down after the sun goes down. Here are some that were recommended. You can see all of our photos from our Arizona trip here.